Let us help you customize your day-trip and continue your cruise on the road! Like in a cruise holiday where you visit several countries, we will cruise you on the road throughout towns and villages sailing on a sea of art, history, nature, food and wine. You will have the opportunity to visit and experience as much as possible, enjoying your time without stress and worries. We will think about everything, you only have to relax and let yourself be pampered. 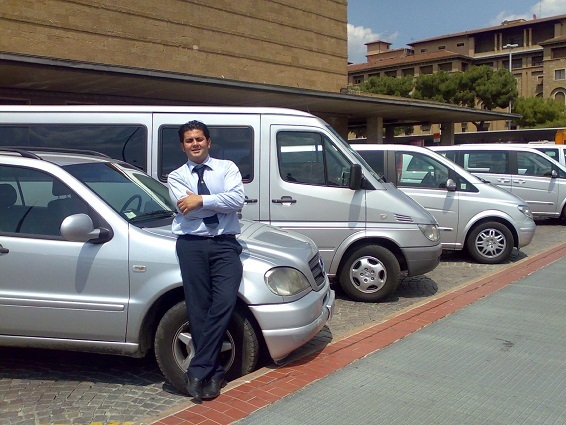 We can arrange pick you and drop off at the dock in Livorno or La Spezia and drive you to the top destinations in Tuscany: Pisa, Lucca, Florence, Chianti area, San Gimignano, the Tuscan Riviera and every corner of our beautiful region! Thanks to good partners and friends, we can arrange your customized day-trip from any other port of call in Italy and south of France, like Rome (Civitavecchia), Naples, Salerno, Sorrento, Catania, Taormina, Messina, Marseille, Nice and Monaco. You choose your dream day and we can make it happen! Our air-conditioned luxury vehicles can seat up to 8 passengers and can be booked privately or sharing the tour with other few travelers, in order to optimize the cost of the excursion and find the most suitable solution for solo travelers or couples. Italy has a beautiful and complex history. Let our local expert Driverguides who are fluent in English share with you knowledge and passion for our culture and heritage, majestic cities, historical sites, traditions and gorgeous countryside. 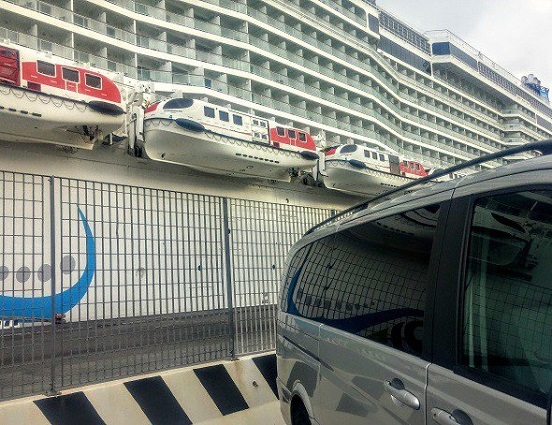 We promise to drive you back to your ship on time with amazing memories to share! Cost of shore excursions depends on number of participants, pick up location and customization of itinerary. We cruise you…. by car!!! Below our tour proposals to the most popular destinations, you can easily and quickly book your shore excursion on-line by selecting from our ideas!!! Or you can feel free to contact us at any time for your tailor-made shore excursion from each port of call and to each destination!! !